This is a sponsored post and giveaway, but this is solely my own creativity, 100%! 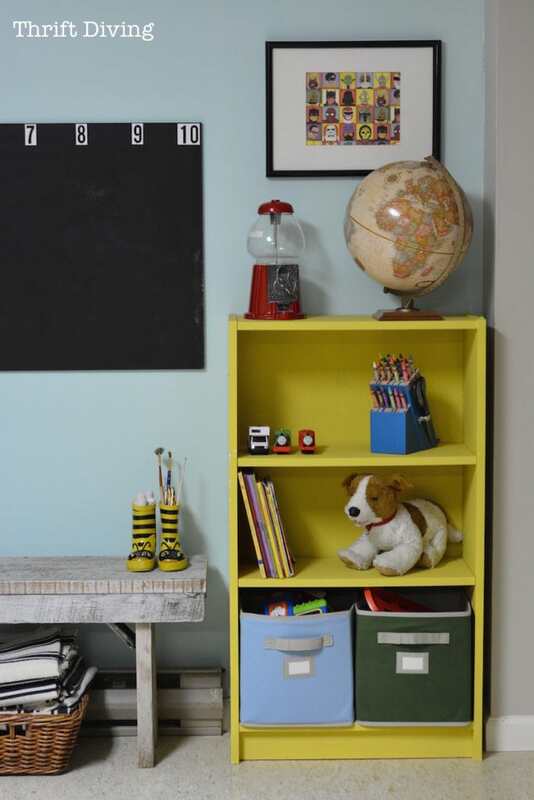 I posted about this bookcase on my other bookcase project where I showed you how I hacked my kids’ new bookcase and built LEGO storage on top (!!!). So of course this one needed a new life, and a new purpose. Because here at Thrift Diving, we don’t throw things out, do we?? That’s a DIY no-no. 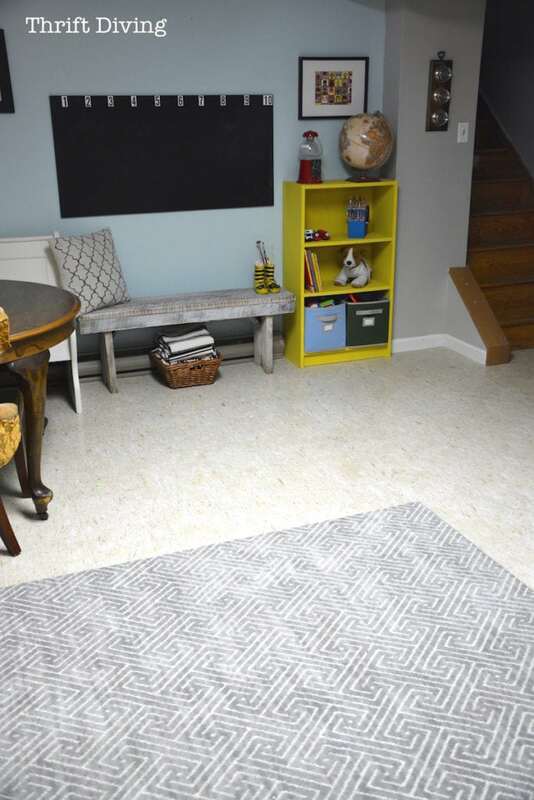 Remember my pretty basement office makeover?? The kids crawl all over me while I’m down here working, like mice on cheese ;). 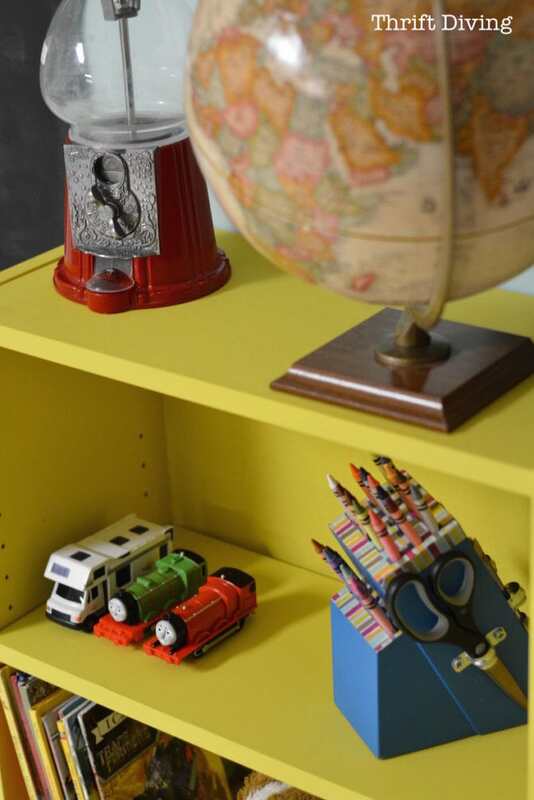 I thought I had better create an area to keep them occupied while we’re down here, starting with this bookcase! I thought I’d show you a pretty pic of the sprayer: THEIRS….. 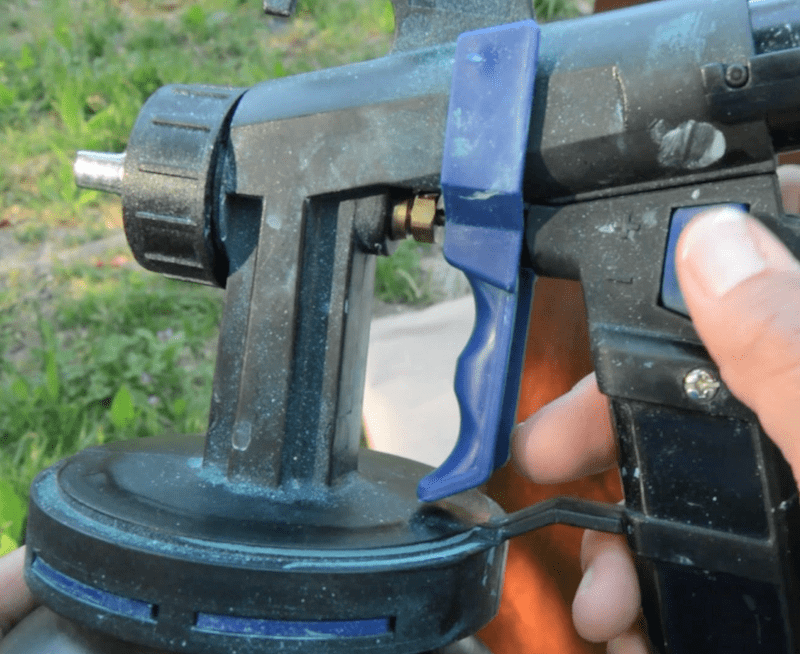 I wanted to show you guys how to actually use this paint sprayer because there are times when you just want to get through a project quickly, or you’re painting something like wicker (trust me–a brush ain’t gettin’ into those cracks! ), or maybe you just like to discriminate against brushes. Who knows ;). But here’s the tutorial for ya! I’m embarrassed to admit I still haven’t had time to work on my defunct gallery wall, but–hey! !–hopefully the yellow distracts from that! I used the same picture to place above the bookcase, but added some super hero paper instead of the car. Oh, and can I say, I got that frame from the thrift store? (But, of course!). I love the smooth finish the paint sprayer leaves. As much as I love paint brushes, there’s nothing like the smoothness with spraying on paint versus brush strokes. 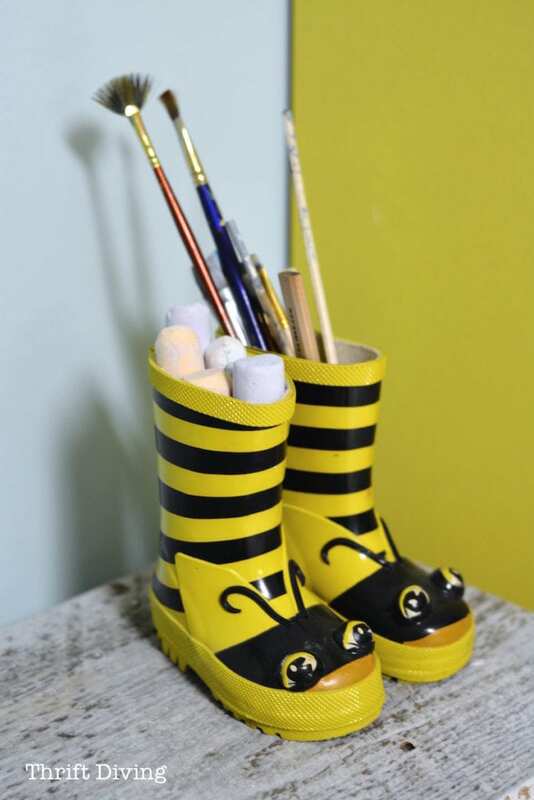 The thrifted bumblebee rain boots I had bought for my youngest when he was a baby. 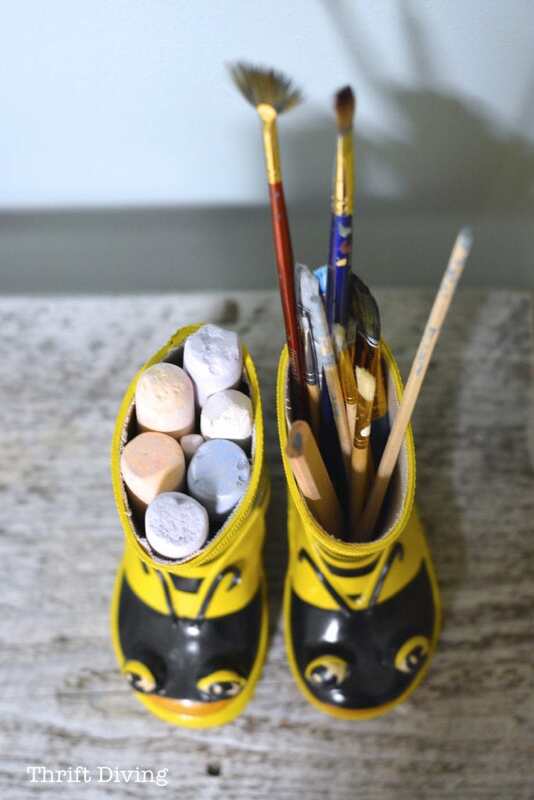 Now, they’ll hold paint brushes and chalk! 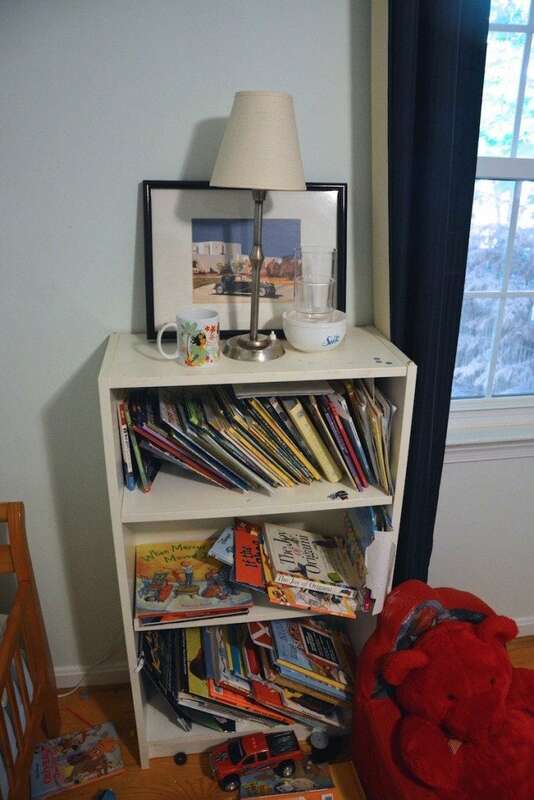 It didn’t take any time to get the bookcase done. It was a pretty small project. 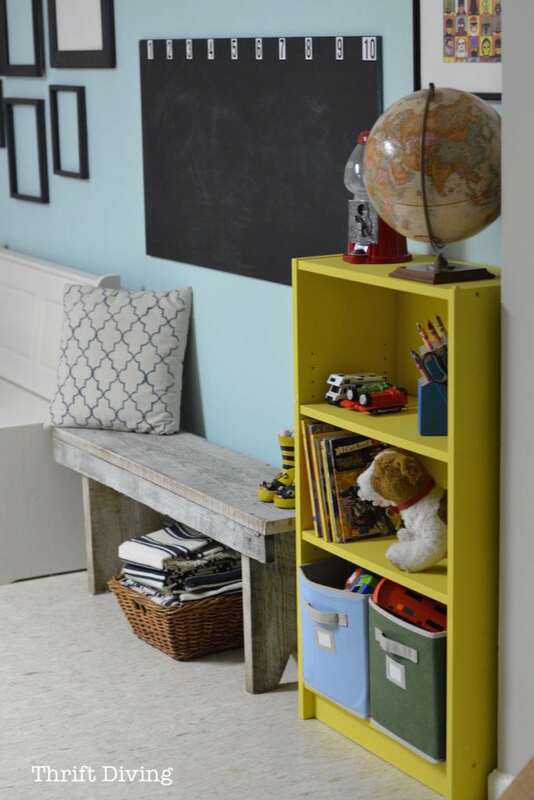 But larger pieces, like tables and a whole set of dining room chairs, you could get done in no time! 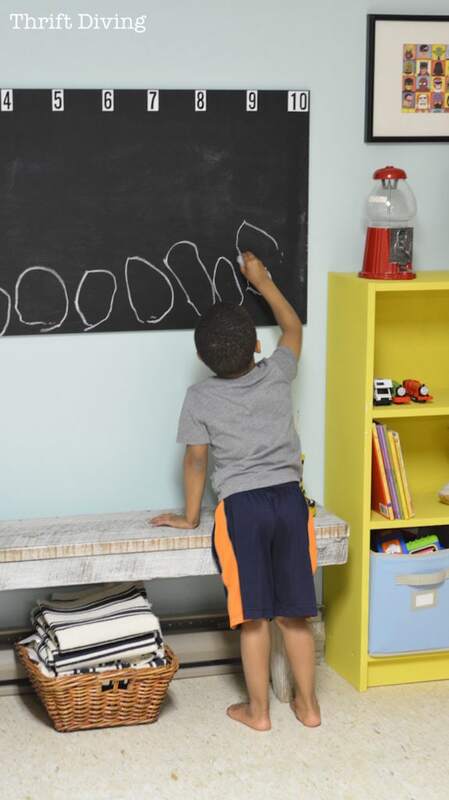 Anyhow, here’s my youngest, Kojo (age 3), using his new chalk board. He’s a little short, but he’ll grow in to it ;). 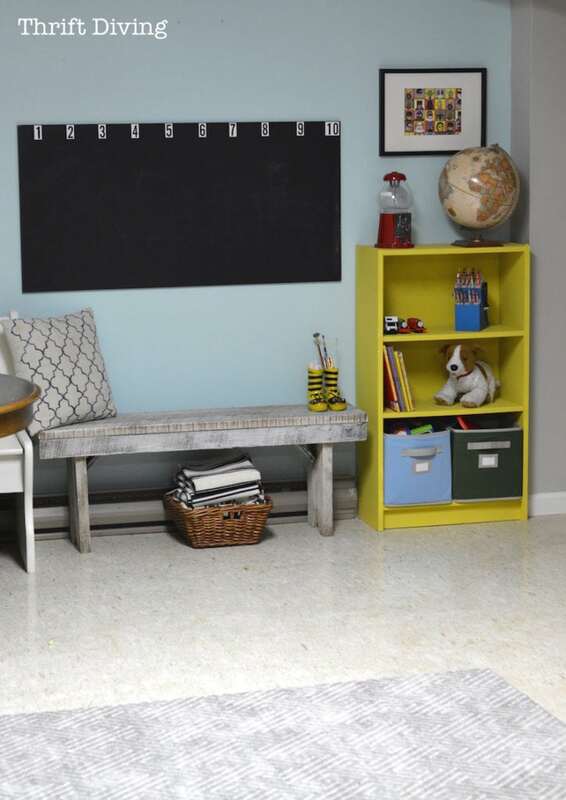 And did you even know that you can use chalk paint in a paint sprayer? Here’s the video tutorial on my YouTube channel! So have you ever used a paint sprayer? What kind of pieces do you like to spray? I saw the reference for this post on HomeRight Official Facebook page. It’s nice what a little paint sprayer with creative and a bit of effort can achieve. I actually like the C800766 better than the one you have its picture here for it’s ease and longevity. Thanks for the tutorial. 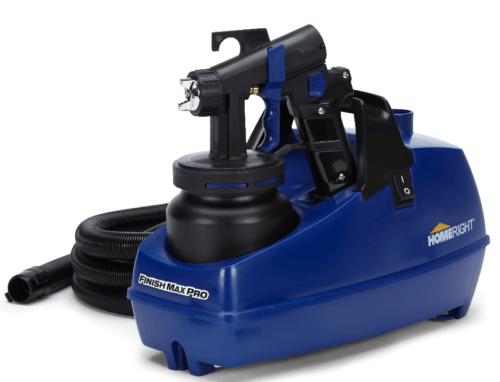 A lot of benefits for those who want to use a paint sprayer especially the Homeright brand. I like paint sprayers better than brushes and rollers as they can really save a lot of time and they work moderately. Will like to get this too!